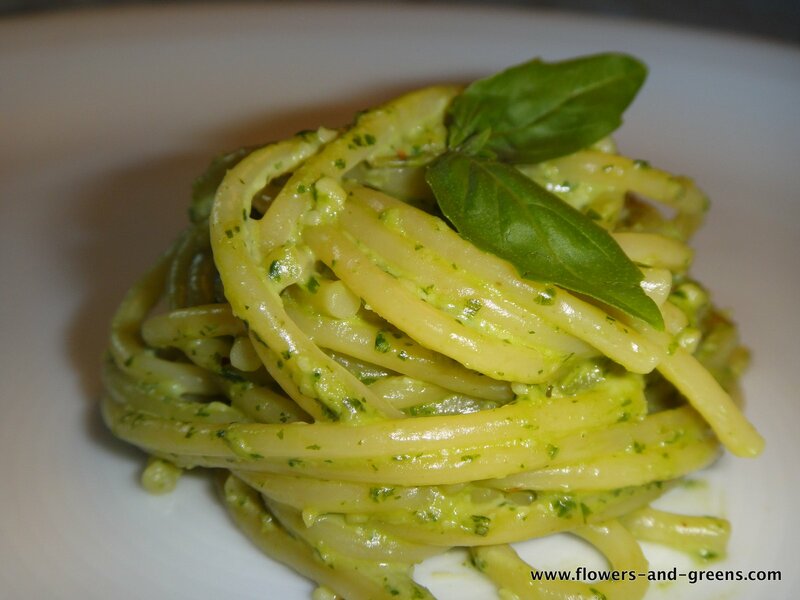 The longest running favorite of my kids is pasta with fresh pesto. Given that it takes just about the same time to make the pesto as it does to cook pasta I am eternally grateful for that. Now that Basil season has started this is requested weekly. My son is cow milk intolerant, so all the cheeses I use are sheep or goat only. 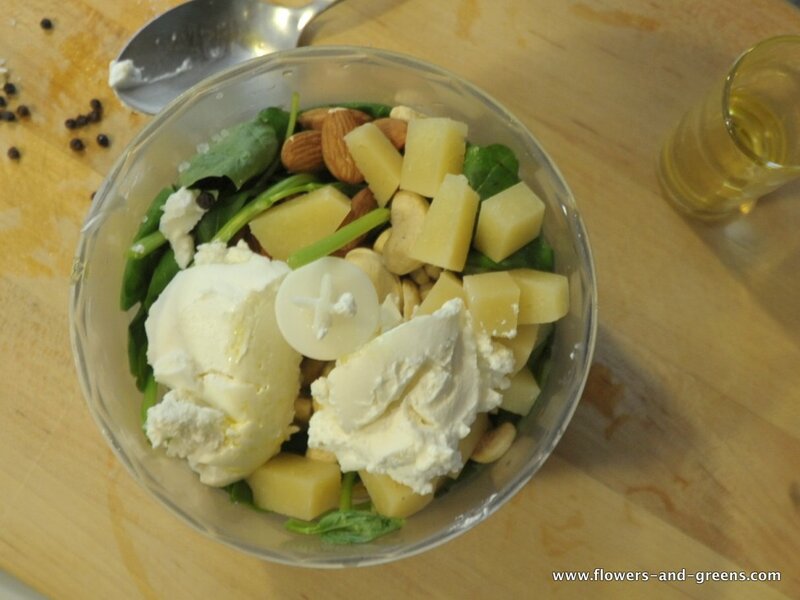 You can obviously use your favorite cheese that has the same tangy taste as Manchego and any soft creamy cheese. Our daughter is super picky with her food and sometimes I throw in a few tablespoons full of frozen peas to get more vegetable variety. 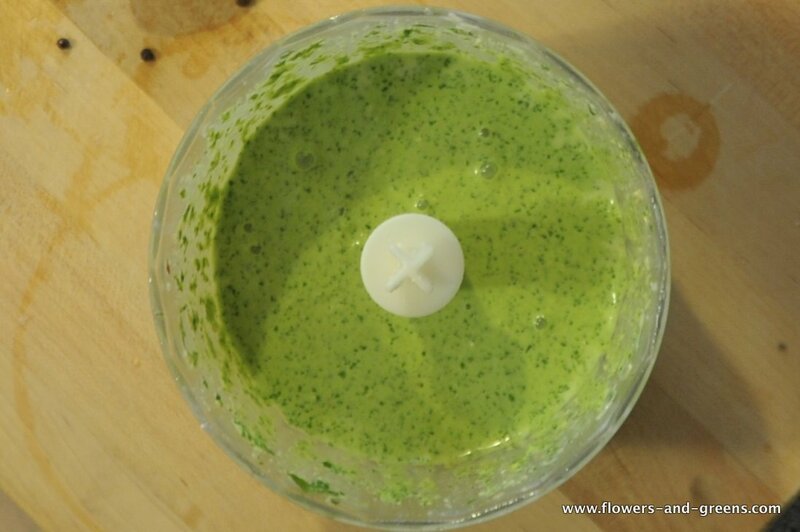 It makes the pesto even more green and they can’t taste the difference with all the lovely strong basil aroma. Green beans work as well, but don’t add so much to the color. 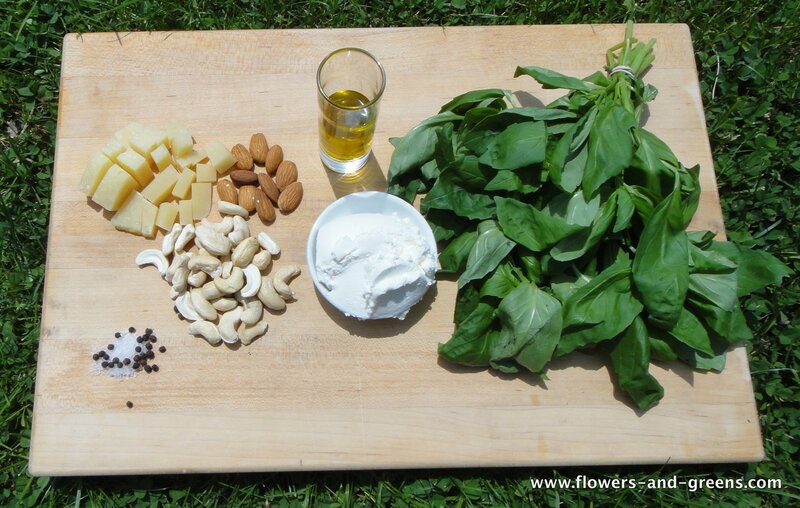 She has never eaten a single cashew or almond by itself, but is perfectly fine with it in the pesto. 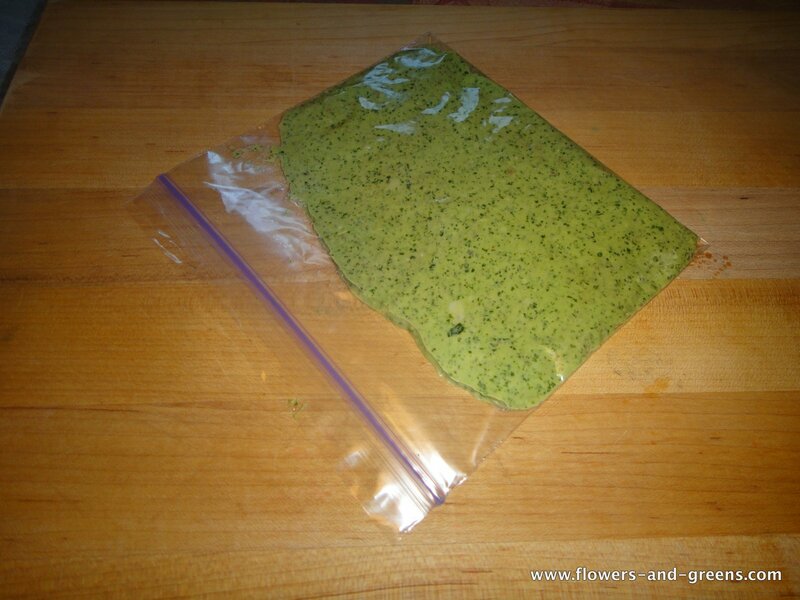 Now throw all of it in the food processor and presto .. by the time you pasta has boiled and the salad is made, dinner is ready. Mix it with the pasta and sprinkle some Parmesan and a twist from the pepper mill when serving. I generally make double portions and scoop the rest into freezer bags and flatten it out. Just thaw it by mixing a bit of the pasta water and you have a super quick meal option. Delicious! One of my faves! My fav too. Thanks for reminding me – dinner, done.